To enter the giveaway for Through Waters Deep, see the information at the end of the post. 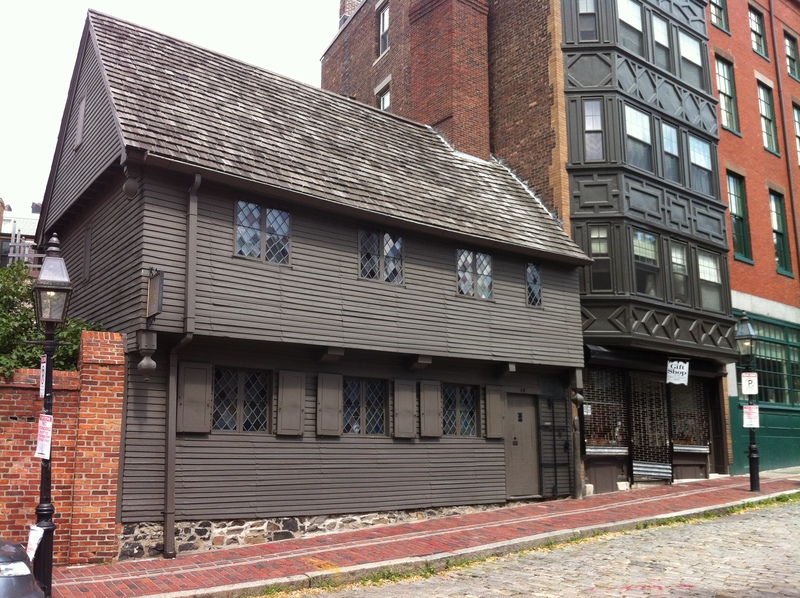 Today we’ll visit Boston’s North End, starting at the Paul Revere House, built in 1680, the oldest structure in downtown Boston. The famous silversmith and engraver lived here from 1770-1800, and started his famous “Midnight Ride” here on April 18, 1775. The house was restored and opened as a popular tourist site in 1908. A short walk along the Freedom Trail, and we reach the Paul Revere Mall, built in 1933. This pleasant park leads to the Old North Church. The iconic statue of Paul Revere on his famous ride was erected here in 1940. This week I’m giving away THREE copies of Through Waters Deep! 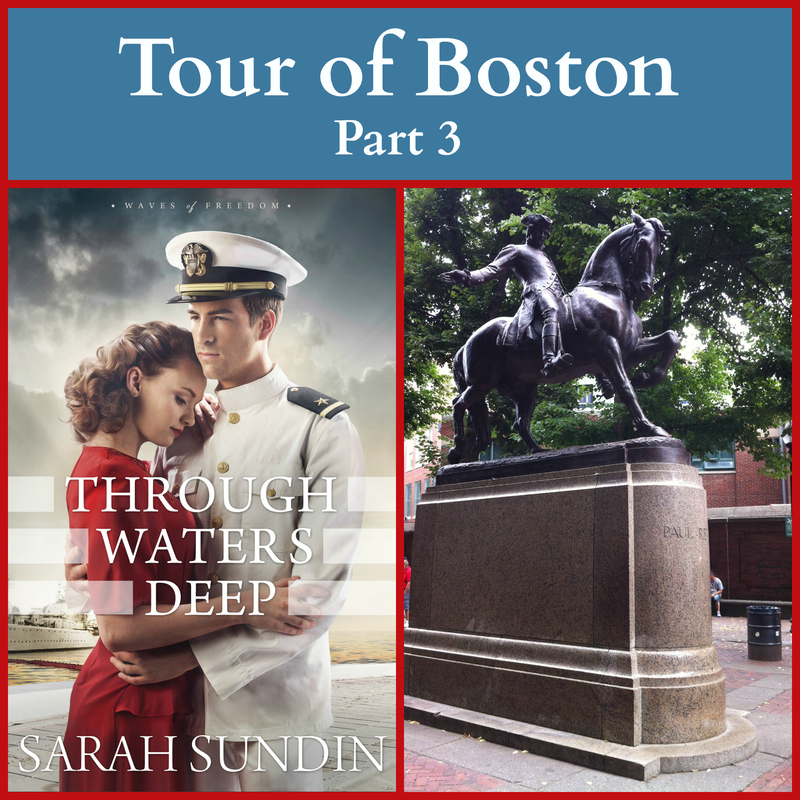 To enter, leave a comment below (US & Canada only please), on the video post, or on any of the Tour of Boston posts (Part 1, Part 2), which will show the sites featured in the novel. You can earn a maximum of four entries by leaving a comment on each of the four posts. If you can’t leave a comment, please send me an email to enter. Giveaway ends Monday, July 27, 2015 at midnight, Pacific Time. I’ll announce the winner here on Wednesday, July 29, 2015. I enjoy your books very much. I look forward to this one. Thanks again for the history lesson(s). You make it so interesting…and you take excellent photos! I really like your books and can’t wait to read this one! Thanks, Emily! It is a gorgeous church! Thanks for the stroll through memory lane for me! 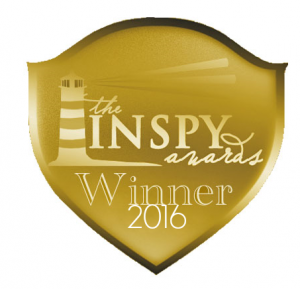 Crossing my fingers to be one of the winners!!!!! Thanks for all the fabulous reads too! Your books are incredible! Sarah, thank you for the virtual tour of Boston! I enjoy learning about new places. I visited Boston 4 years ago. Lots of fun to see all the places again in your pictures! It’s a great city to visit! 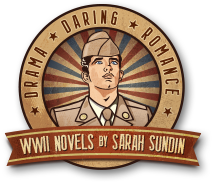 WW2 books are so special. The attention you put to detail the time period and emotions of those people is perfection. Thank you, Diane! I’m glad you enjoy the stories! Really like your tour of Boston! Is there a part 4? as I see the contest ends tonight. I have a collector’s ceramic church of the Old North Church. It is beautiful and now you have shown me the inside of the church, Love to win and read Through Waters Deep! There will be two more posts (Charlestown & the USS Constitution, and Charlestown Navy Yard), but the contest ends tonight. Boston looks like such a wonderful place to visit. It’s on my bucket list. I’d also love to run the Boston Marathon too. 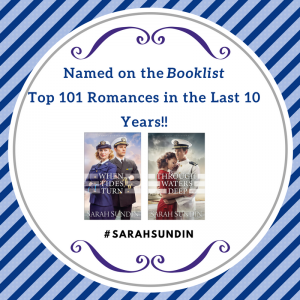 Love your books and hoping to win a copy! I would love to read your latest book. It sounds like a great WW2 storyline. P.S. Have visiting Boston on my bucket list. Thanks, Carol! I’m sure you’d enjoy a visit! I always look forward to your new books! Love your books. Can’t wait to read Through Waters Deep! I can’t wait to read this book! I got a post card in my mail today advertising your book! It’s such a beautiful cover! It is! Revell did outstanding work. I’ll probably never be able to visit Boston so it’s sure nice of you to give us this tour this week. I’m looking forward to reading Through Waters Deep. It’s always kind of exciting to begin a new series! Thanks, Pam! I hope you enjoy it! My husband was born in Boston, someday we will get there! Thanks for the links to the various landmarks! Can’t wait to read the book! Thanks, Diane! You should definitely go! Love the Paul Revere history/pictures! What a fun tour of Boston you have given! 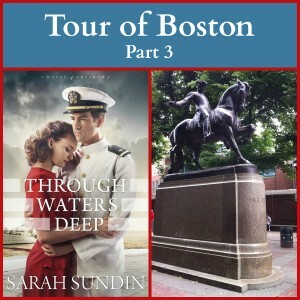 I am loving this Historical tour of Boston Thanx for the giveaway! All three parts of the tour of historic Boston has been so interesting. Thanks so much for sharing with us, Sarah! glad to get my last entry in before midnight. I’m Looking forward to this one. congrats! What exciting things to see there! I’ve never been to Boston, but I may have to go now! Yep 🙂 I learn something new every day also – and I wouldn’t have it any other way! Love the inside of the church! So pretty. Glad you had fun on your trip! It is very pretty! And yes, we had a fun trip. Excited for these books!!! 🙂 I would like to go Boston some day!!! Ah, Boston ! I’ve never been there but have wanted to go for awhile ! It is so rich in history, which is what I love to read about ! You take excellent pictures thank you for the virtual tour !